A blood test could one day save millions by allowing doctors to screen for cancer before patients show symptoms. 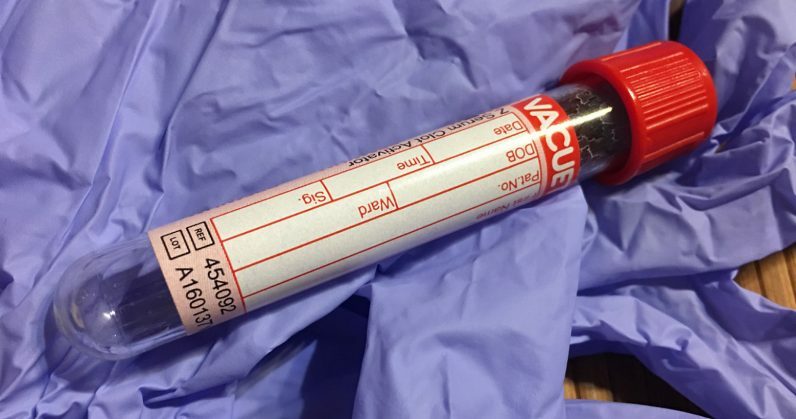 The test, called a “liquid biopsy,” screens for 10 types of the disease by detecting trace amounts of DNA released into the bloodstream by cancer cells. So far, it has proven particularly capable of detecting ovarian and pancreatic cancer, both of which have significantly lower mortality rates when caught early enough to perform surgery as a means of removing the cancer. Unfortunately, most are caught after patients begin to show symptoms, which is often after the cancer has spread to other parts of the body. In an early study by a research team that included scientists from Stanford University, Klein’s group found the test was most accurate in diagnosing pancreatic, ovarian, liver, and gallbladder cancers — finding the disease in four out of five patients who used it. Tests for lymphoma and myeloma were slightly less accurate, with 77 and 73 percent detection rates, respectively. Lung cancer and cancers of the head and neck trailed behind, with 59 and 56 percent detection rates. Researchers did note, however, that further “clinical development” was needed. They’d also need more test subjects, as the sample sizes were on the small side for a study of this type. While it detected ovarian cancer with 90 percent success rate, for example, only 10 instances of this type of cancer were detected throughout the testing period. Still, the research shows promise in a blood-based approach to future cancer screening.